Last year, Pantone announced that Turquoise would be the color of year for 2010, and the design industry heard them loud and clear. Turquoise jewelry reappeared in Hollywood, turquoise popped as an accent color in homes all around the country, shoes, handbags and sunglasses all boasted the years hottest color. And all we have to say is - nice job Pantone! Recall what we said in our 2011 Atlanta Home Design Trends blog about proselytizing? But we also have to admit - we love turquoise too! So how could one possibly top the Turquoise trend? Call in it's natural compliment: A red, orange, pink, coral combination hereafter known as HONEYSUCKLE! According to Pantone Color Institute Executive Director Leatrice Eiseman, “In times of stress, we need something to lift our spirits. 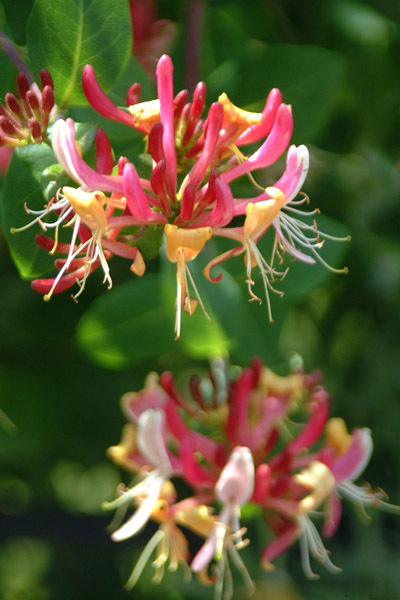 Honeysuckle is a captivating, stimulating color that gets the adrenaline going – perfect to ward off the blues." It's already been on the red carpet, and it's showing up in various shades on items right now! We might predict, that this trend takes a little longer than turquoise to translate into the home sector. It's a fabulous accent color - and as you might notice - even a similar color was used in our "Papered Ceilings" image trend prediction in our 2011 Home Design Trends Blog! The color looks like is not for the faint of heart, and we know not everyone will want to use it. But if you see it, and you like it, Try It! It may surprise you what a neutral it truly is. And the easiest thing to do would be to give us a call. We'd be happy to help you work 2011's hottest color into your home! I bet my wife would love this! Thanks for sharing this color pallet (Honeysuckle). I think I would use this for my daughter's bed room.